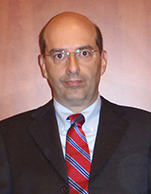 Neda Maritime Agency Co Ltd.
George P. Thanopoulos is the Technical Manager (BC) of Neda Maritime Agency Co Ltd. Since graduation from the National Technical University of Athens (1993, degree in Mechanical Engineering) and the University of Newcastle upon Tyne (MSc in Marine Engineering), he worked for various major Greek shipping companies in the area of technical management. He has over 20 years' experience in the shipping industry and has dealt with various repair, conversion and NB projects worldwide. Since January 2002 he has been employed by one of the leading Greek ship-owning groups in Piraeus, and is currently responsible for the smooth technical operation / performance as well as the technical regulatory compliance of the fleet.